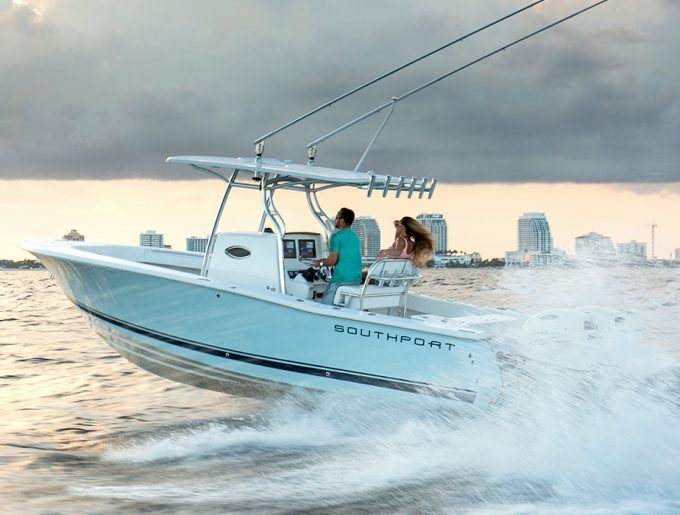 If the Southport Family Edition is the SUV of the ocean, the Southport Tournament Edition is the track-ready roadster, designed and built for one specific purpose: catching fish in most any condition. 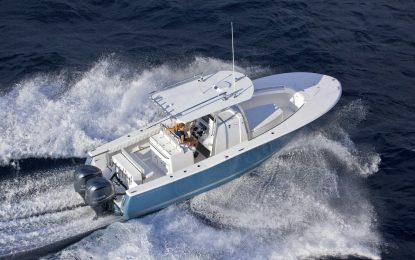 With a deck layout featuring a large macerated forward Coffin Box, ample livewell space, and below deck insulated and macerated fishboxes, the Southport Tournament Edition has all the features a serious offshore tournament angler could need. 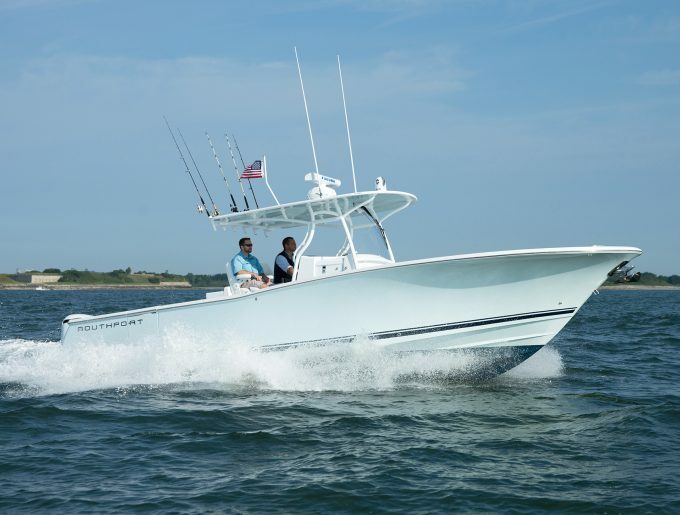 In addition to storage and livewell space, Southport Tournament Edition models can be outfitted with nearly 2-dozen rod holders, including rocket launchers in the standard Fiberglass T-Top, ready racks behind the helm seats, and in-gunwale rod holders. 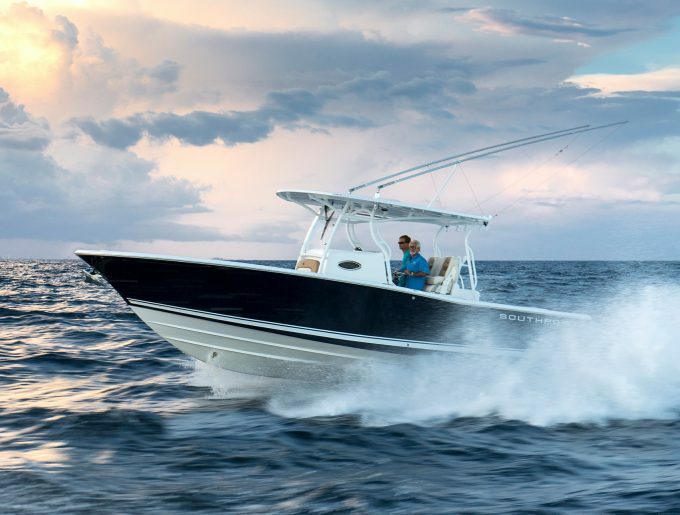 When other anglers are forced to head back to port if the sea turns ugly, your Southport will keep you on the fishing grounds longer, and get you home comfortably in nearly any sea condition. Unlike many other Deep-V hulls, the classic Southport hull is steady at rest. The variable deadrise of the Deep-V Southport hull, slices through waves with little commotion, And,the Carolina Flare tosses spray back into the ocean where it belongs. 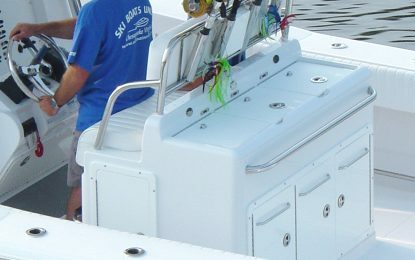 A large, insulated forward Coffin Box provides ample space for storage of gear or fish, and a great place to sit while underway. Numerous leaning post layouts allow for a customized setup- making your Southport Tournament edition ready to fish exactly the way you want it.